Everybody finds themselves eating an extra mince pie or helping themselves to another glass over the festive period, and with so many family tensions and seasonal parties, lots of people make it to January feeling a little worse for wear. Whether you are participating in Dry January for charitable reasons, or just cutting back after December’s indulgence, alcohol-free cocktails are de rigueur in January. 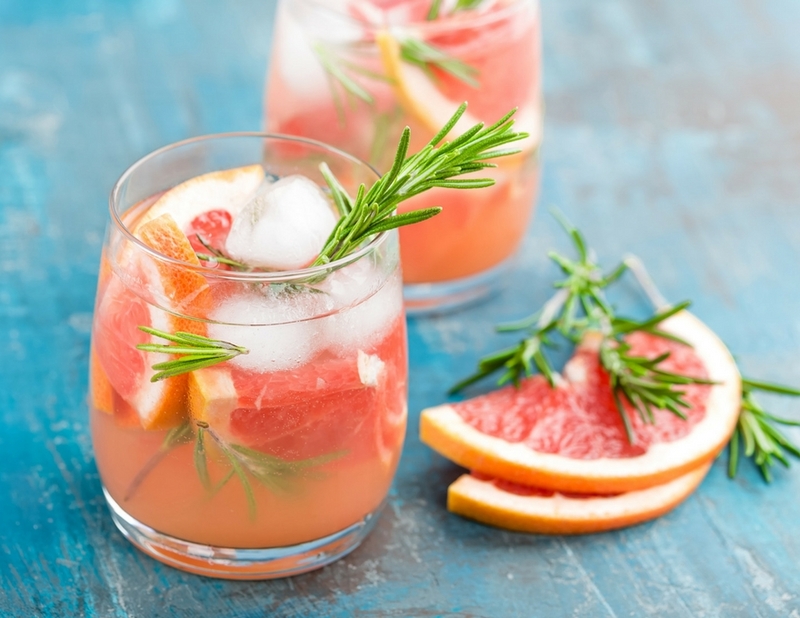 In the past, retailers have dubbed adult soft drinks as mocktails, and though this infers an element of mixology, it also conjures up an image of sugary drinks sporting an umbrella. Thankfully the top-notch bartenders have been busy creating beverages with adult flavours and all the subtlety you would expect of a cocktail without the alcoholic kick. From the beautiful presentation to balanced garnishes, these adult offerings are changing the face of soft drinks. Taking classic cocktails and making them without the traditional spirits sounds like a recipe for disaster, however, Dandelyan in London have not shied away from virginal versions of house favourites. The Silk Road Gimlet may have an optional spike of gin, but the salt baked pomegranate, mulberry leaf, white tea and cardamom concoction sounds spectacular without the alcohol. The Dishoom in Edinburgh goes one step further with a collection of ‘copy tipples’ that fool even the most seasoned drinker. From a sober martini to a dry old fashioned, sip on these spirit-free alternatives for an authentic experience without the hangover. Without tried and tested recipes that are the standard of so many cocktails, it is time for mixologists to get creative with seasonal ingredients in their non-alcoholic offerings. Redemption is a health-conscious bar and restaurant offering up vegan and vegetarian fare alongside their sober cocktails. While their Crantini combines festive cranberry and orange with birch syrup, elderflower cordial and elderflower water, the apple mockjito feels traditionally English with apple press and mint. The Nightjar screams prohibition decadence and is renowned for its expert mixologists. Putting the décor and old-world glamour aside, for those looking for a puritanical evening, there are beverages without the liquor. The ferociously named Wolverine combines apple and rhubarb with bitter lemon and passionberry for the perfect winter beverage. For guests seeking a unique blend, The Nightjar recommends a quick conversation with one of their bar experts who will whip you up a guilt-free drink that is tailored to your tastes. Often friends’ houses are where the difficulty ensues, no matter how often you volunteer to be the designated driver. The choice of sugary fizzy drinks or tap water is not able to overcome the temptation of a large glass of red. This is no longer a problem and as 2018 rushes in, those dedicated to craft soda are riding the wave of craft breweries and micro-distillers. Alcohol is moving away from the mass market, but the soft drink industry is limping behind and leaving non-drinkers at bars with only water to nurse. No longer, as craft sodas are becoming more and more popular and gaining some recognition. Roots Soda has created a drink free from artificial sweeteners, blended in adult flavours and available across Scotland. For those in the UK desperate for a non-alcoholic option, Nix and Kix have a range of sodas free from refined sugars, artificial flavouring and preservatives but all with an addition of spice. The Kix element of the name comes to the fore as each drink has a bit of chilli to complement the cucumber and mint or peach and vanilla flavours.